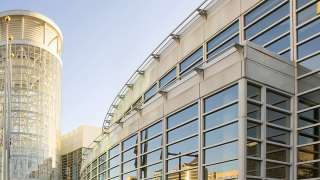 The Salt Palace Convention Center has nearly three quarters of a million square feet (over 63,000 square meters) of exhibit space. Use the map below to get familiar with the building in order to select the best TRAX stop or determine which parking garage is most convenient. You can also use our interactive map or take a virtual tour. The main entrances from the street are the East Entrance from West Temple and the South Entrance from 200 South. There are also entrances on the North and West sides of the building. Meeting rooms are numbered by floor. The lower level rooms begin with 1; the Mezzanine level rooms begin with 2 and only in the northwest part of the Salt Palace is a meeting room located on the third floor. Meeting rooms 155, 255 and 355 are stacked on top of each other. The easiest way to reach these rooms from the Main or South entrances is from the Mezzanine Level. 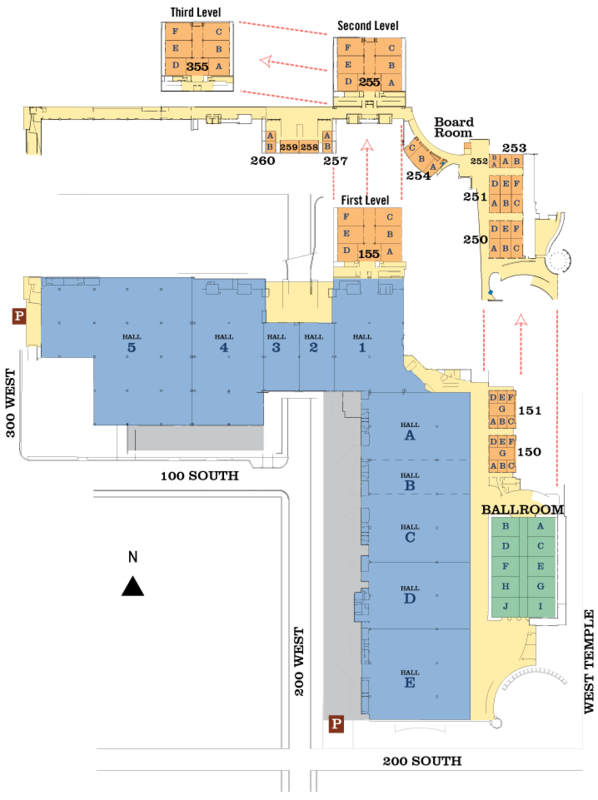 There are 10 exhibit halls: The five running north to south are labeled A through E. The five halls running east to west are numbered 1 through 5.